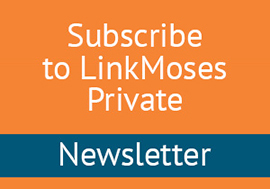 In the issue of LinkMoses Private sent out earlier this morning, I included a link to Matt LaClear’s book offer for LinkMoses Private subscribers. Below is the corrected link to the book. Link Building Debunked: Discover the Secret to Earning Huge Backlinks Without Hiring an SEO Agency. I’ve edited out the technical glitches on the 2 1/2 hour Live Linking Strategy Q/A I did on May 25th. It’s now available at a new URL, listed/linked below. 3). Google Grok – What’s Google up to With Links? 3). Google Links Grok – What’s Google up to With Links? 4). Google Grok – What’s Google Up To Now? 4). Google Grok – What’s Google Up To? 5). Google Grok – What’s Google Up To? 3). Google Grok – What’s Google Up To? 2). Are You Making These Link Relevance Mistakes?